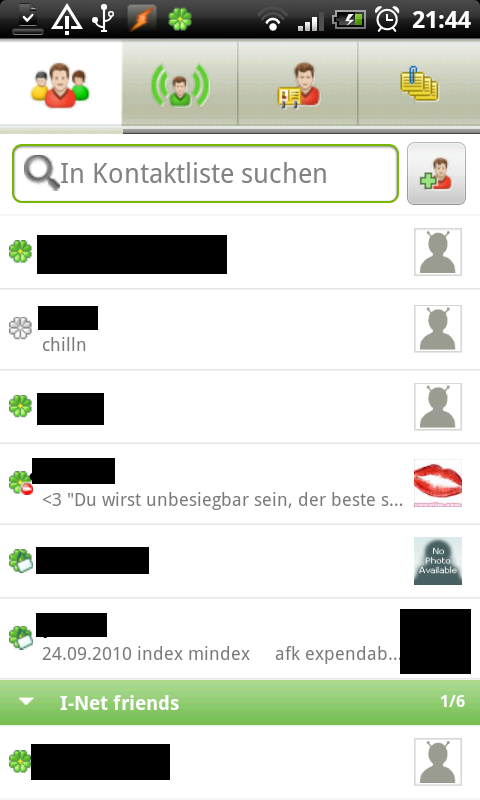 ICQ for Android kept us waiting with bated breath, but then, at last, the interesting (yet super annoying?) sound became available for Android. The instant messaging giant ICQ ltd. came out with an app that enables you to take advantage of this phenomenon. Read on to find out if this app is worth it or whether you should stick to alternatives such as Meebo, Nimbuzz, and co. In case someone out there doesn’t know what ICQ is: it’s an instant messaging program which allows you to do online chats with your friends in real time. If you don’t have an ICQ account yet, or you’ve forgotten your password you will have to visit www.icq.com in order to set up an account or have them resend your password. The app is for members only. Once you’ve signed up the chatting can commence. Pick an ICQ or Facebook contact and write to them. If you’ve got too many contacts the integrated search function can make finding the person you’re looking for easier. Pretty cool. You can edit your current status whenever you like and if you’re too busy or stressed out simply set it to busy or invisible. That’s all very nice, but the app could’ve provided a few more options. Furthermore, the linking to Facebook doesn’t work every time—my status updates appeared in ICQ but not on Facebook. Lastly, you can check out your friends’ statuses. Unfortunately, the app allows you to make only very minimal changes to your profile: all you can do is add a new photo from your phone or else take a new picture. Chatting, on the other hand, is pretty fun. Emoticons (smileys) are immediately visible and you can report and block certain users (such as spammers). There’s also a function that allows you to edit your list of friends and put them into groups. The ICQ app only supports ICQ and Facebook; Google Talk, MSN, Skype, etc. aren’t supported, unfortunately. Saying that the number of functions this app offers doesn’t exactly knock my socks off is putting it mildly. It can do what it’s meant to do, but that’s about it. Other chats offer a lot more and make life a little nicer. 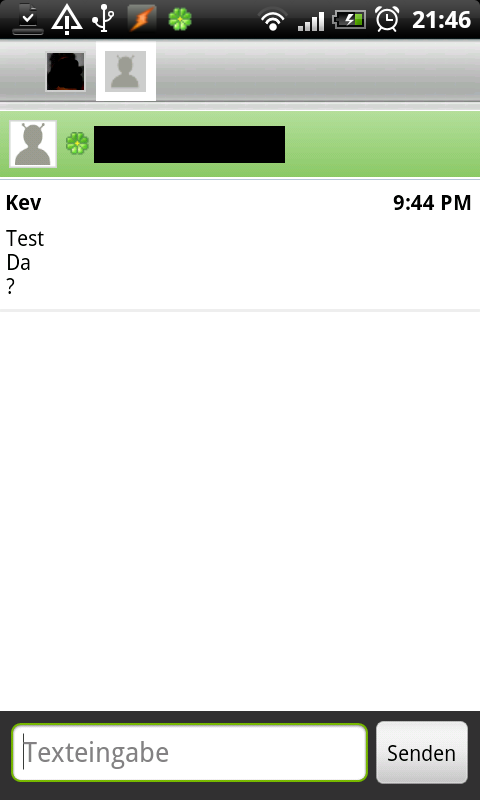 If you really only need Facebook chat and ICQ then ICQ Mobile for Android may be the thing for you. 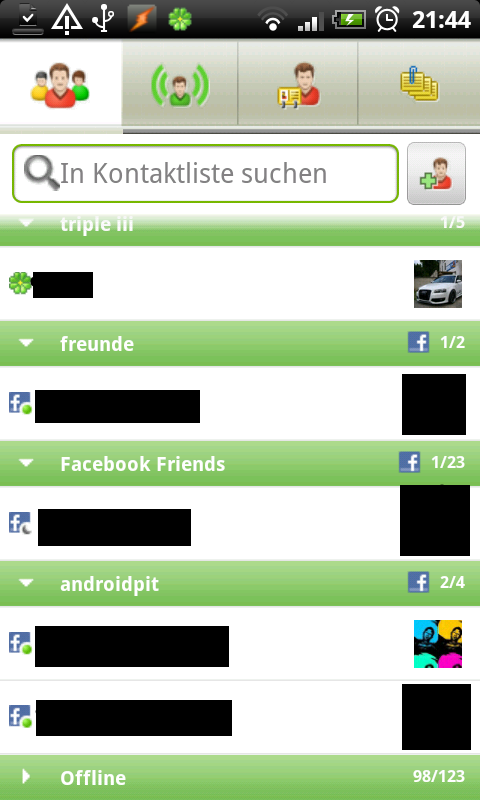 ICQ Mobile for Android has the typical ICQ design. Fans and nostalgics will no doubt rejoice when they hear the infamous *Oho* sound coming from their phones, but others will find it so annoying you'll want to pull your hair out. Luckily, the sound can be switched off. Controls are excellent and the app is very easy to use. The action bar can be found at the top of the display, and contents at the bottom. Easy to get the hang of and easy to use in general. Whether you’re a newbie or an experienced user, you won’t have any trouble with this app. ICQ runs fast and smoothly. Absolutely no issues arose during the entire testing phase. 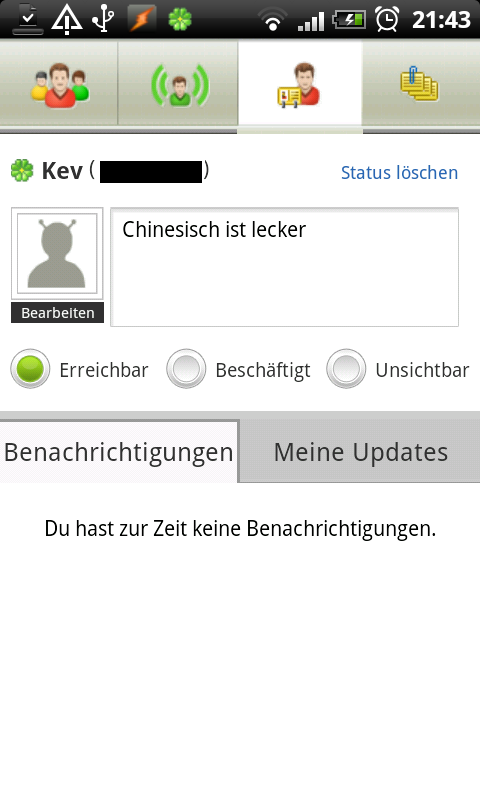 ICQ Mobile for Android can be downloaded free of cost from the Market. There’s no advertisement (as opposed to the program for computers). The app doesn’t cost anything, but it can’t do that much, either. There are better apps – such as Nimbuzz, Meeba, etc. 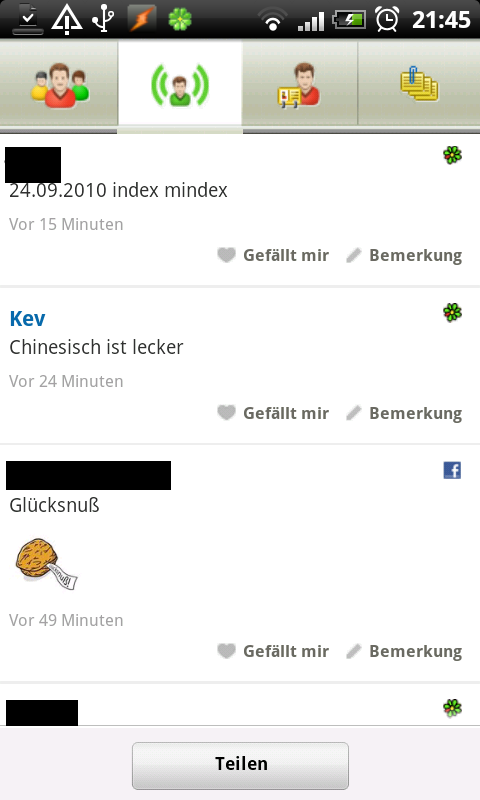 – out there, so this up is really only a must-have for die-hard ICQ fans. is there to many video calls & chat apps .